What will be the result of China’s newest witch-hunt on Bitcoin miners? In Sep 2017 China banned ICOs and shut down the major bitcoin exchanges. That gave the industry some hiccups and temporarily stopped the expansion of the crypto-currency-bubble for 2 weeks. Although it was clear that next steps would follow, Chinese investors and start-ups were fast moving offshore and the world was quick to forget about it and get back into the crypto-frenzy which powers the spiral of greed and recent insane growth of value for all those nice virtual coins. It seems that China is now finally making its next move against crypto-currencies in Early Jan 2018. A leaked document indicates that China’s internet finance regulators are asking local governments to take steps against the large scale coin-mining operations in the country (See this articles on Quartz for more background). It’s still very early and unclear how strict and efficient the measures will be, but the direction is clear. So what does that mean for Bitcoin, the crypto-currency hype and the growth of Blockchain business in general? Last year Chinese government focused on unregulated exchanges (which are just intermediaries) and the ICOs (which are mostly dangerously unregulated investments and often pure frauds). Now the focus is on the miners, which are the heart of the data validation and the Proof-of-Work mechanisms across all those crypto-tokens and blockchain technologies. Sounds like bad news for Crypto-currencies and all the new public blockchain ventures which require an ecosystem of miners… or maybe not? 1. Big China dominating the world… and Bitcoin? There were lots of articles recently (e.g. , ,)on all those big crypto-mining operations in China, which make up 2/3 of the worldwide crypto-currency mining power. All nice blockchain concepts of decentralization, validation and immutability and safety of crypto currency transactions are based on the principle that no one controls more than 50% of the computing power in the network. With all those large scale miners in China contributing 2/3 of global mining power by burning huge amounts of cheap energy with warehouses full of specialised racks made of china-manufactured mining-hardware… now that sounds like a risk for a 51% attack !!! 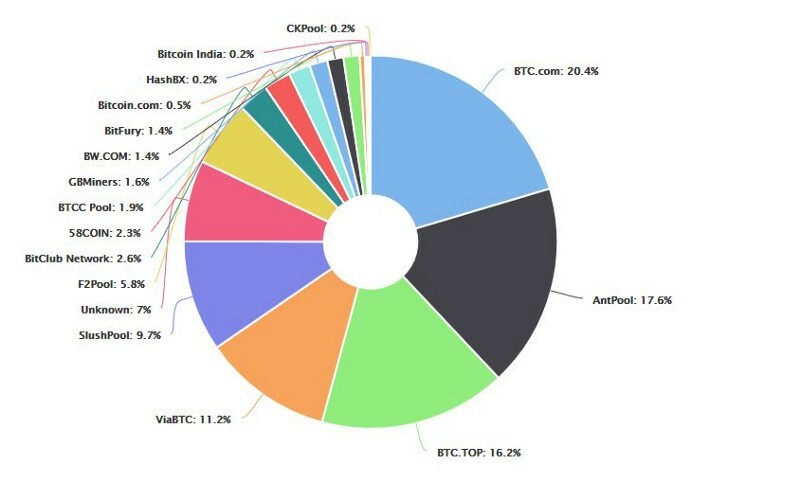 You especially need to keep in mind that it’s not just lots of individual miners, but the big mining pools bundle those and just a hand full of China-based pools bundle around 72% of worldwide hashing power for crypto currencies. Controlling them by hacking or legal controls would be a powerful weapon to change the unchangeable ledgers and break the whole system of artificial created wealth behind Bitcoin and Ether and all those other altcoins. -> So if China is now taking steps which reduces this implicit dominance, it would result in a increased decentralisation… that’s good news for the worldwide blockchain and crypto community!!! 2. Will it cool down the global warming? Digiconomist estimates the current annual energy consumption by Bitcoin mining alone to be 38.6 TWh with a carbon footprint of 18,913 kt CO2. Only 26% of worldwide countries consume more than that… and it’s steeply growing. Nowadays mining is only profitable with access to huge amounts of cheap energy and those big mining organisations in China rely on the very fossil-based energy mix that is cheaply available there. As side effect, while burning that energy without providing significant benefits to the humankind, the energy there becomes more expensive and less affordable or accessible for the lower social classes in rural areas. -> The new directive against crypto-mining organizations in China is the right step for mother earth, social fairness and humankind in general. 3. How many miners are required? What should happen with Bitcoin, Ether, Litecoin and all those other crypto-currencies when there are not enough miners anymore to validate transactions? Someone needs to provide all the computing power to calculate new hashes!? Will the systems crash or will it take ages to find someone to validate a transaction? Luckily, the Blockchain technology established by Bitcoin and most of the newer coin-spinoffs are very flexible. If suddenly 50% of hashing power would be lost, the remaining mining nodes don’t need to cover for that. Instead a parameter for “difficulty” is automatically lowered and it would just require 50% less computing power and energy to validate a block and mine a coin. 4. Less miners in China would mean higher profits for the rest of the miners?! Well… there is still the basics of capitalism. If the coin prices don’t drop significantly, the margin per mined coin will increase and it will suddenly become more profitable to mine in other locations. New mining farms will sprout outside of China and we can only hope, that the energy mix in those new locations is a little cleaner than it was in China. The biggest lever controlling how much effort goes into mining will still be the value of the individual crypto currency… and those have recently soared across the board. The value is determined by a market that currently doesn’t follow the classical rules of investment and FX-trading. It is fuelled by hopes and greed, by technology-savvy idealists believing in breaking the dominance of big banks and by the little investor / gambler who wants to jump on the accelerating train hoping to make some money before it crashes and the bubble bursts. It’s 10% market mechanics and 90% psychology. Maybe these new activities in China will frighten some uninformed investors and slow down the rally into a healthier trot… but most likely it will just result in a 1–2 week dip in Bitcoin value which will be the signal for the traders to buy them cheap before they quickly soar to $20k and beyond. Our key takeaway might be a minimal reduction in carbon footprint, a slight increase of decentralization and lots of new threads and opportunities for miners and traders in a crazy market that gets shaken and stirred a little more.